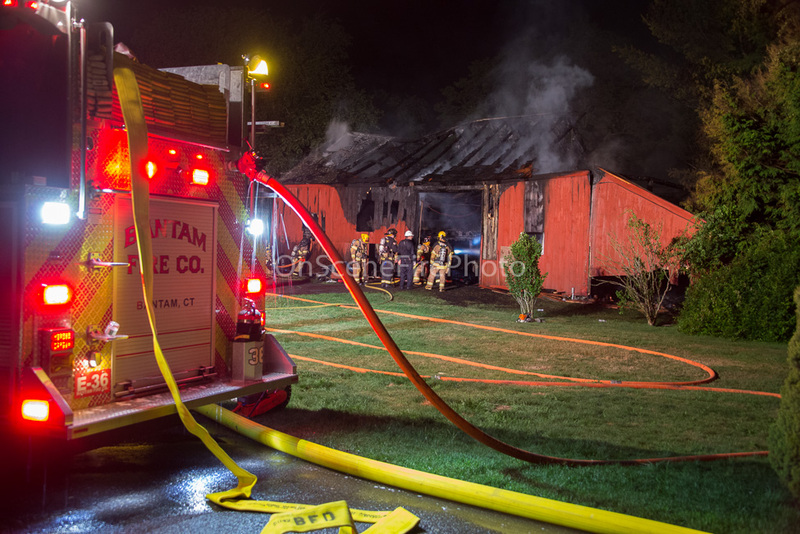 Bantam Fire Fighters along with mutual aid tankers from Litchfield, East Litchfield, Morris and Norhfield make a good stop on a well involved barn fire on Maple St. The fire cused extensive damage to the structure and contents stored in the barn. No people or animals were harmed as a result of the fire and no extension to the nearby homes nad other structures on the property.